Evie Amati has been found guilty of wounding with intent to murder by a Sydney jury. 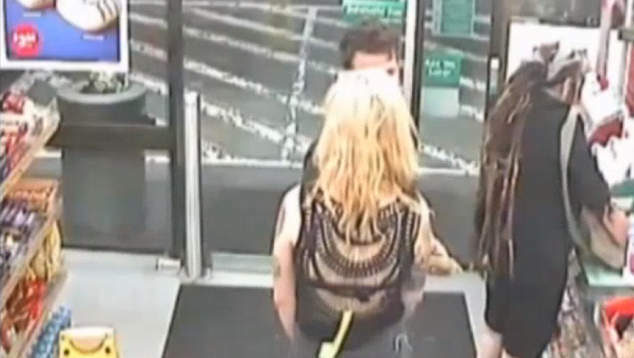 Amati, who is transgender, entered a 7-Eleven convenience story in the inner-city Sydney suburb of Enmore on January 7th 2017 and struck two people with an axe. During the trial the jury saw graphic CCTV footage that showed 26 year-old Amati attacking customers Ben Rimmer and Sharon Hacker causing both serious injuries. A third man, Shane Redwood, avoiding being attacked by Amati outside the store when he fended off her blows with his backpack. All three people were strangers to Amati. The jury dismissed Amati’s legal team’s claims that she was not responsible for her actions and found her guilty of two charges of causing grievous bodily harm with intent to murder over the attacks against Rimmer and Hacker, and also found her guilty of wounding with intent to murder in respect to Redwood. The offence carries a maximum sentence of 25 years imprisonment. The jury had deliberated for two days before delivering its verdict. Amati’s lawyer Charles Waterstreet had argued that while there was no dispute that his client’s body had carried out the attacks, she was not responsible for her actions due to mental illness. The trial considered a wide range of issues including gender dysphoria and discrimination faced by transgender people. At the time of the assaults Amati had a combination of seven different substances in her blood. Alongside hormone medication she also had alcohol, cannabis, amphetamines and anti-depressants.